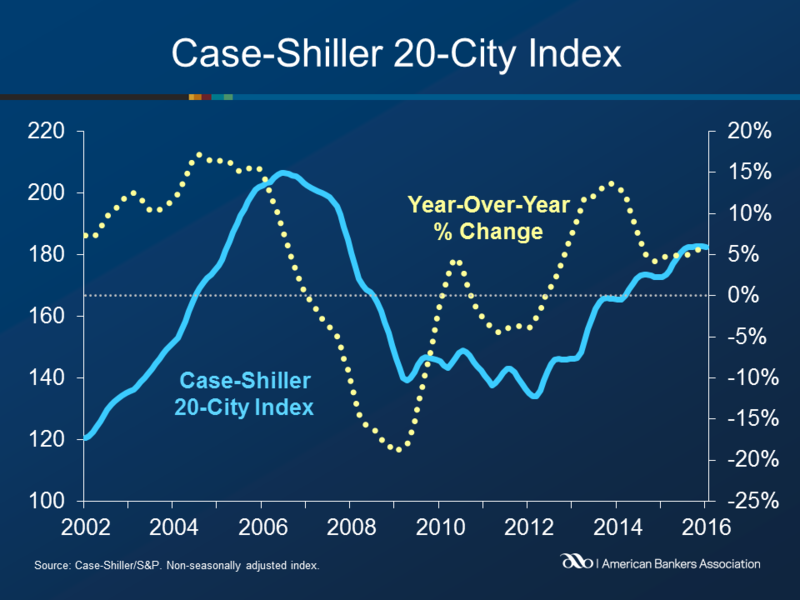 The 20-City Case-Shiller Composite Index increased 5.7 percent year-over-year in January, the same as in December. The 10-City Composite Index increased by 5.1 percent from the previous year, also the same increase as in the previous month. The National Index, which covers all nine census divisions increased 5.4 percent annually. On a seasonally adjusted monthly basis, the National Index, 20-City Composite, and 10-City Composite all remained unchanged during January. Home prices rose in eleven of the twenty cities covered by the index, but fell in eight cities. San Francisco and Minneapolis saw home prices fall by 0.7 percent and 0.5 percent respectively, while Portland, San Diego and Miami saw prices increase by 0.4 percent.